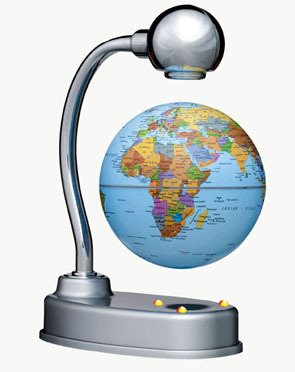 The Levitating Globe is a fun conversation piece or desk accessory. The 3 1/2" globe levitates between the polished metal arm and plastic base. Lower lights illuminate when the globe is properly aligned. Features a colorful political map with hundreds of place names.